After a rather challenging growing season last year, the possibility for mycotoxin production in feedstuffs, such as corn silage, was much higher. In many cases, that possibility became a reality. 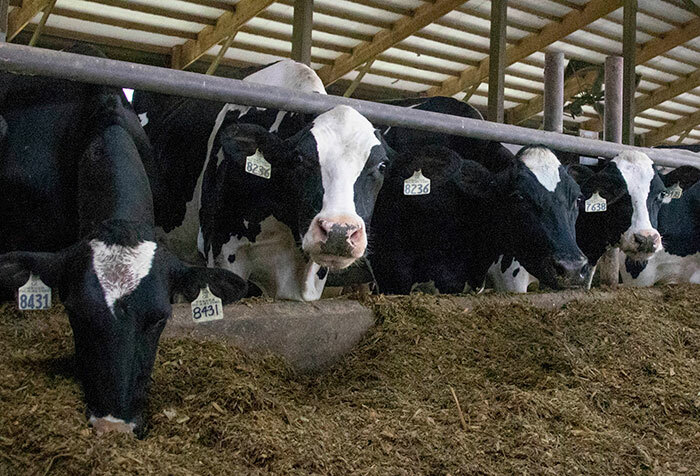 While measures such as using a toxin binder in feed can provide some relief in present rations, knowing what measures to take this upcoming growing season will lessen future mycotoxin pressure and the subsequent headaches that follow. At the 2019 Central Plains Dairy Expo held in Sioux Falls, S.D., Lon Whitlow, professor emeritus at North Carolina State University, outlined steps that can be taken to reduce the prevalence of mycotoxins in feedstuffs. Starting off, Whitlow reviewed that mycotoxins are a product of molds that can grow in the field as well as in storage. There are hundreds of different mycotoxins that can be produced by a variety of molds such as Fusarium, Aspergillus, and Penicillium. “When you find a single mycotoxin in a feed, the research says that you are very likely to have 20 to 25 different mycotoxins present,” stated Whitlow. “That makes it a little difficult to predict what might happen in a cow,” he added. Some symptoms seen in cows that have ingested mycotoxins include reduced feed intake, low feed efficiency, gastric disorders such as acidosis or displaced abomasums, reduced production, reproductive problems and abortions, immune suppression, and nervous system issues resulting in down cows. So, what measures can be taken to prevent or reduce mycotoxins? Whitlow said to select hybrids with fungal resistance. Make sure that the hybrids are adapted to the growing area and also have resistance to other problematic diseases and insects. Minimizing stress is also crucial. “The two most impactful stressors on plants are either the lack or abundance of water and/or insects,” Whitlow continued. Insects penetrate the protective cell wall of the plant tissue, which opens a door for mold and disease spores to be introduced. Other measures to minimize stress include utilizing crop rotation, proper fertilization, and irrigation or tiling. Timely planting and harvesting at the correct maturity and moisture also play a role in stress mitigation. Whitlow discussed the use of nontoxigenic, competitive molds. It is a practice that has been used for years in cotton and has started to migrate into peanuts and corn as well. “What farmers actually do is spray this nontoxigenic mold onto the field, and then it outcompetes the toxigenic mold, which then doesn’t develop in the plants,” Whitlow elaborated. The mycotoxin expert also shared some research done at Penn State University that examined the impact of tillage on mycotoxins in corn silage. They found that less tillage led to a higher presence of mycotoxins in the silage. “Fungicides are also effective and have been used with greater regularity in recent years,” Whitlow explained. “They have been shown to promote yield and improve the health of leaves and stalks as well as standability, but they are not recommended across the board,” he concluded.